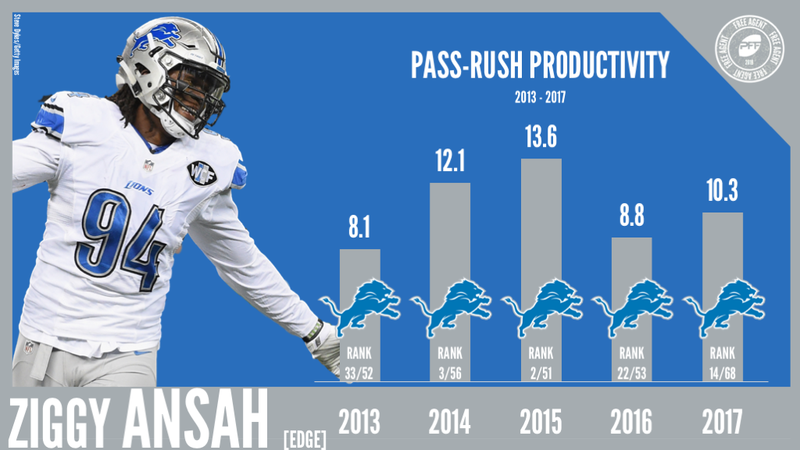 The Detroit Lions head into the 2018 NFL Draft as one of the busier teams through the beginning stages of this offseason. Detroit signed several players across the board, whether to fill a hole left by a player leaving in free agency or fix an area of weakness from a season ago. In total, 10 new faces joined the franchises through free agent contracts alone as the team also inked new head coach Matt Patricia from the New England Patriots. With an emphasis on defense as he was the defensive coordinator for the Patriots since 2013, Patricia signed five new defensive players as well as making sure to bring back key defensive pieces from last year’s team in Ezekiel Ansah, Nevin Lawson and Tavon Wilson. Edge defender Devon Kennard joins the fold along the front seven as does DI Sylvester Williams from Tennessee. Christian Jones was brought in from division rival Chicago while DeShawn Shead joins the secondary in Detroit. Patricia did his part in bringing in players to compete for roles on the team, however the Lions will be without familiar faces from a season ago in CB DJ Hayden (Jacksonville), TE Eric Ebron (Indianapolis), DI Haloti Ngata (Philadelphia), LB Tahir Whitehead (Oakland) and C Travis Swanson (New York Jets). So, with all this movement, what do PFF Senior Analysts Steve Palazzolo and Sam Monson think of their offseason so far?